The ages at which Catholic children in the Archdiocese of Philadelphia receive the sacraments of first holy Communion and confirmation will remain as they are today, Archbishop Chaput told priests of the archdiocese in a letter Nov. 30. Currently most children in grade two receive first holy Communion, and most children receive confirmation in grade six. Some parishes routinely confirm their children in seventh or eighth grades, while other parishes with small congregations combine sixth, seventh or eighth graders into a single group for confirmation. The Blue Ribbon Commission (BRC) on Catholic education recommended that the ages be reexamined due to the formation of 21 regional Catholic schools, and the closure of 55 parochial schools. Regionalization of schools has led to a situation in which children from several parishes attend the same school and study at the same grade level, but their parishes hold confirmations at different times of the year and, conceivably, at different grade levels. Parents and members of archdiocesan parishes had been discussing the possibility for revision of the ages for receiving sacraments, especially raising the age for confirmation to eighth grade, ever since the BRC’s report was released in January 2012. In his letter, Archbishop Chaput said he raised the matter for discussion at a recent Presbyteral Council meeting, a group that is representative of all the 841 diocesan and religious-order priests in the archdiocese. There was consensus that the age level for receiving first holy Communion remain at grade two. Since no clear consensus emerged on the question of the best age for reception of confirmation, Archbishop Chaput asked the 12 regional deans to discuss the issue among priests in their deaneries. The deans reported the consensus was to “retain the current practice of the archdiocese regarding the age for reception of both first holy Communion and confirmation. I have accepted this recommendation,” Archbishop Chaput wrote. “In the situation of merged or regional schools,” he wrote the priests, “pastors associated with those schools will collaborate to establish a common age. They will also cooperate in determining a date for reception of the sacraments. “This will enable children from different parishes who attend the same school to receive the sacraments at approximately the same time,” he said. 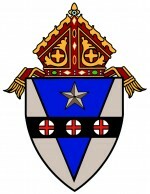 The current archdiocesan policy is for the archbishop and his assisting bishops to confer the sacrament of confirmation in parish celebrations only, not at schools. The archbishop said he directed the vicar for clergy, Msgr. Daniel Sullivan, to explore such a forum. I think it is very sad that so many Catholic grade schools are being closed, while millions of dollars are spent keeping Catholic High Schools open that have 15% or less Catholic student. Where are tomorrows Catholic leaders coming from? I am relived to see that issues regarding the newly merged regional schools are are starting to be addressed. Thank you. The next glaring issue that needs attention is the CYO PROGRAM. The rules regarding this program in the regional school environment are a mess and unfair to our children! The students deserve some sort of common sense decision-making from adults in this area. Having children receive their sacraments in the same grades throughout the Archdiocese makes total sense. However, I would like to suggest the first reception of the sacrament of Reconciliation in 2nd grade and First Holy Communion in 3rd grade–as we have done in our parish for as long as I have been a member. This allows for adequate catechesis for both First Reconciliation and First Holy Communion. Otherwise, I have seen catechesis and reception for First Penance just squeezed into the spring as a footnote on the way to the main goal of preparation for First Holy Communion. I see many efforts in the Church to encourage greater appreciation for the Sacrament of Reconciliation. A lot of talk about renewing the sacrament. I think most of us agree that this is an underused and unvalued sacrament. Separating the first reception of Reconciliation and Eucharist into 2 succeeding years of catechesis fosters better preparation for both of these sacraments. This allows for greater emphasis on Reconciliation in its own right and not just an afterthought on the road to First Communion. I have been a catechist in parish religious education for over 25 years both in this Archdiocese and in 2 other dioceses, teaching every grade from 2nd to 6th. I am truly saddened that our parish will be switching to an Archdiocesan standard that in my experience shortchanges the spiritual preparation of children. I can not adequately express here how sincerely disappointed I am in this change. Excellent points! However, I wouldn’t mind if they also raised the grade level for Confirmation to 7th or 8th grade.